You have to do something new to see something new. 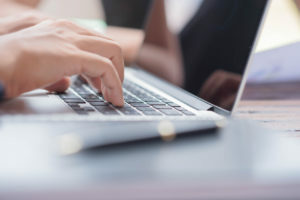 More and more international and national authorities demand the electronic submission of authorisation applications, variations, and pharmacovigilance data. To meet this demand, know-how is needed – and a suitable software solution. We would like to offer you support for the preparation of eCTD dossiers and the implementation of electronic submissions. In cooperation with us you will comply with all legal requirements and recommendations. 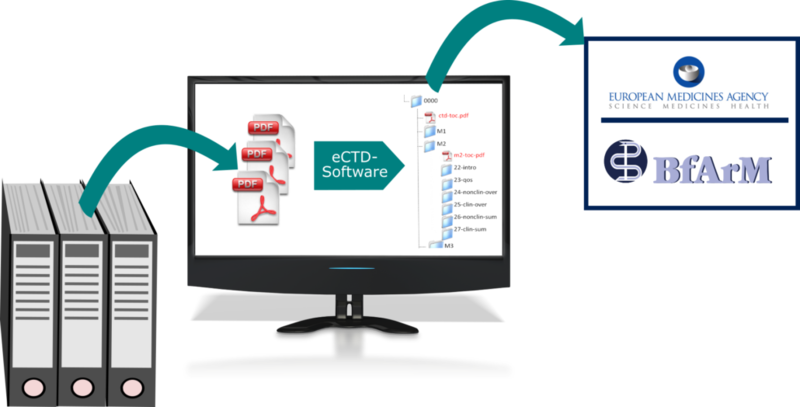 Your paper-based dossier must be converted to an electronic version in CTD format. The digitized dossier parts are sorted into the specified eCTD structure by a suitable software and an xml backbone is created, so that the files can be read out electronically. The dossier in eCTD format will be sent to the authorities. This is mandatory from 1.1.2019 on all variations. If you are interested in a personal offer, please contact our eCTD team here. We are happy to advise you.